Gutters are typically installed on a property to control the flow of water during rain storms.The gutters collect the water and channel it into specified locations, and this protects the property’s foundation and landscaping from damage from erosion. In some cases, the water is collected in rain barrels or collection systems for water conservation measures. Clearly, gutters are an important component to a property’s exterior, but they can become clogged with everything from leaves to gritty sand from the shingles. Gutter guards are an innovative feature that eliminates the possibility of clogs so that gutters can continue to function well over the years. This is a feature that is typically placed over existing gutters, or it can be installed at the time the gutters are originally installed on the property. Essentially, it covers the top of the gutters so that leaves and other debris cannot pass into the gutters, but it allows the water to flow into them. There are several types of gutter guards that you can choose to install. Some are well-suited for capturing leaves, pine needles and other types of larger debris. The best options, however, are those that filter out even the smallest particles. This is because even sandy grit from the shingles can collect in the gutters over time, and this makes the gutters work inefficiently. If you purchase gutter guards from a local store or roofing company, you can install it on your own. This requires you to physically access the gutters, and you may find yourself spending several hours or more working along your roof line from the top of the roof or from a ladder. This can be dangerous, tedious and even tiresome work. Because of this, a better solution is often to allow a professional roofing contractor like Rite Price Roofing to install the guard system on your behalf. This will ensure that it is installed properly and that it works most effectively for your home. Furthermore, a professional will be able to complete the work more quickly due to experience and extra manpower. 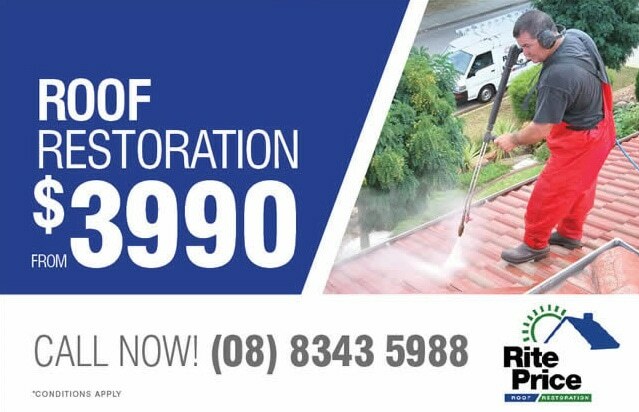 If you’re in need of gutter guard installation, call us at (08) 8348 5988 and we’ll be happy to help. Homeowners in Adelaide and throughout the region want to keep their homes in great condition, and installing gutters is a smart way to minimize gutter repair issues on your property. In order to make your gutters work more effectively, you can install a guard system over the gutters. While these guards can be installed over your gutters through your own efforts, it may be best to have a professional roofing contractor install the guards for you. You can request an appointment today to obtain an estimate for the installation of your guard system.